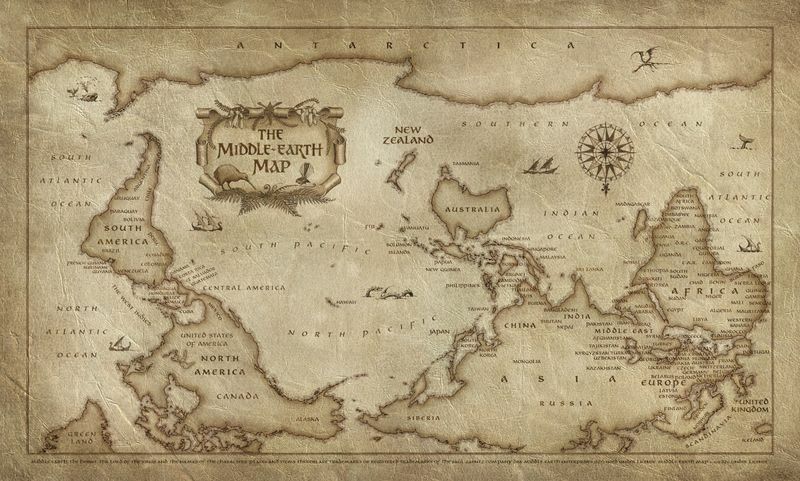 Contemporary calligrapher Daniel Reeves, a Kiwi who produced the maps for the Lord of the Rings films, fashioned one of this world with his native land situated in the centre [Middle Earth] rather than tucked away in the bottom right. It takes some doing to acknowledge its accuracy. The calligraphy is right-side up but everything else is topsy-turvy. North is south and south is north. Canada, where I grew up, is at the bottom of North America. The UK hides in the corner where your brain expects to find New Zealand. Although you can see Reeves' perspective from space if you're best mates with Richard Branson or get your pot from Elon Musk, on paper it just looks wrong. It's nearly impossible to acknowledge as anything other than a lark. That's how the powers that be at big European clubs view smaller players. Consequently, vertically-challenged footballers occasionally follow the course to the New World charted by renowned cartographer Sir John Speed in the 16th century in order to practise their trade, much as the Pilgrims and Puritans sought to escape religious discrimination centuries ago. Similar to the religious sects, there is no place for short players in Europe's top leagues. Five-foot-seven appears to be the glass floor if you will. The unspoken rule mandates that players shorter than Lionel Messi be better than the Maestro. Of course, no one is, but coaches and technical directors have it in their heads that signings can only look up to Leo in the figurative sense, not the literal. Former Juventus star Sebastian Giovinco blazed the trail to Major League Soccer in 2015. The 5' 4" Turin native came up through the Juventus system and went on loan twice. At Empoli, he scored six goals and assisted on four more. He made his name at Parma, striking 23 times and creating 19 more in 70 matches. Recalled by the Old Lady, Antonio Conte marginalised Giovinco despite his superb close-control dribbling, vision and exceptional dead-ball stroke. Seeking regular minutes in which to showcase his talent, the player signed with Toronto FC. Over five seasons, he racked up 83 goals and 51 assists in 142 appearances, directly involved in nearly a goal per game. When Conte left Juve to coach the Azzurri, he froze Giovinco out again, this time not just for his height but for plying his trade in an inferior league. The former Chelsea boss' successor, Gian Piero Ventura followed suit. Ventura paid for the snub, failing to make the World Cup in good part because he lacked a strong playmaker. Along with Americans Michael Bradley and Jozy Altidore, Giovinco formed the core of TFC's 2017 MLS Cup winners. Unfortunately, preconceptions about height proved to be just one irrational obstacle in his path. This offseason, with Giovinco out of contract, the Reds made a front-office change. General manager Tim Bezbatchenko, the architect of TFC's success and the man who signed Giovinco, departed for Columbus Crew. New boss Ali Curtis elected to remake the squad in his image. He began by selling his number 10 to Saudi club Al-Hilal despite the player's willingness to accept a wage reduction to finish his career in Toronto, a city his family had come to love. Giovinco isn't the only short player to make a big impression in MLS. Argentine Maxi Moralez stars for New York City FC. The 5' 2" Argentine signed for the Manchester City satellite in 2017 to provide a healthy diet of scoring opportunities for Barcelona and Spain legend David Villa. Not as prolific as Giovinco, Moralez contributed 15 goals and 20 assists in 70 games for City. The Granadero Baigorria native also starred for Racing Club and Velez Sarsfield in his homeland, Leon in Mexico and had a bowl of borscht in Russia. While each was a short stint, his spell at FC Moscow comprised a half-dozen games, the bulk of his career unfolded in Italy where he scored or created 47 goals in 148 matches for Atalanta. The 32-year-old faces a challenge in the Big Apple this term. Squad captain Villa set sail for the JLeague in January. The board doesn't appear bothered by Morales' diminutive stature, however. They've handed the armband to him. Deciding what to do when others raise an unreasonable barrier in your path is a difficult choice. Giovinco put in a transfer request when a new manager benched him at Juventus. Mesut Ozil stayed at Arsenal and fought for his place. Neither option is necessarily right or wrong; just what the individual deems best. Highly regarded in the Manchester United youth setup, Angel Gomes probably has a season or two before such a choice is laid before him. Like Moralez and Giovinco, the 18-year-old is a gifted playmaker. He owns an U17 World Cup winners medal as an English international. This season for United, he's delivered five goals and two assists in the Premier League 2 and another two strikes in the UEFA Youth League in 20 appearances overall. He's captained the side seven times. Ole Gunnar Solskjaer included him in the senior team three times. Gomes closed out the 3-1 victory over Huddersfield on Boxing Day, logging nine minutes. He was on the bench this month for the second leg 'ReMancada' against Paris Saint-Germain and the league win over Southampton. At 5' 3", his mark squeezes between Giovinco and Moralez on the kitchen door frame. With Solskjaer in charge, he can expect to be named to a few more squads and maybe take a bow or two during the run-in. A loan or two to get him playing time with men rather than boys is coming. Due to his size, a Spanish club might be his first destination. The prejudice against tiny players won't go away, though. Gomes will need to do far more than a player of average height and weight to be taken seriously. He will also be a target for opponents hoping to intimidate him. Judging by the three yellow cards he's received this campaign, the exam is already underway. There's no reason to doubt his steel but plenty to question how long he can avoid injury. United's brain trust, not to mention every club willing to kick his tires, will weigh that risk against their investment in the lad. MLS has a track record for accepting players who measure below the Messi line. In addition to Morales at NYCFC, 5' 4" Michael Barrios kits up for FC Dallas. Of course, they say everything's bigger in Texas, but others have come and gone as well. While often ridiculed as a retirement league, Major League Soccer places greater emphasis on younger players with more talent and less celebrity when handing out lucrative Designated Player contracts these days. 2007: Angel Gomes pictured with Wayne Rooney. 2017: Angel Gomes makes his debut in place of Wayne Rooney. Gomes joined the Manchester United youth setup when he was six. He's been with the club two-thirds of his life. He probably can't imagine playing for anyone else. Yet, there comes a time when that choice is no longer yours to make. Mentor Wayne Rooney can explain it to him first-hand. United and England's all-time scorer stayed at Old Trafford long past his welcome to fight for his place, a battle he eventually lost. A season at boyhood club Everton followed. Then a transfer to DC United in MLS. In his 2018 half-season, Rooney lit up the league. In 20 games last season, he found goal a dozen times and set up teammates another six, lifting the struggling franchise from the depths of the Eastern Conference into the playoffs. Wazza's 2019 campaign began like a house afire. In three games, he has three goals and a helper. DCU emerged as early MLS Cup favourites. He might be kicking himself for not making the move earlier. If and when the time comes for Gomes to choose Jadon Sancho's path or continue sticking it out like Phil Foden, MLS could be his best option. Before Rooney left United, he watched Zlatan Ibrahimovic put in a good word for Victor Lindelof. Might he do the same in DC for Gomes?